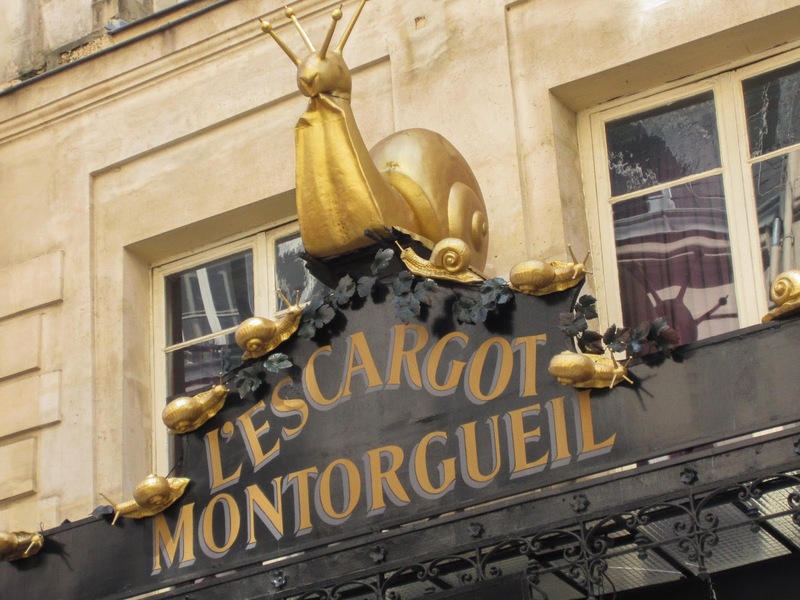 Escargot (Es-car-go) is such a sophisticated word, don’t you think? I mean… you hear “escargot” and you think haute cuisine, not the slimy garden-variety snail. The first time I tried this delicacy was in high school. My father was a regular customer of a local French restaurant, Le Chambord in Westport, CT. I was a sophomore and preparing for my first trip abroad. I wanted to try “real” French food before I actually had to survive on it. Of course, escargot is drenched in garlic butter. I believe you could put garlic butter on tree bark and it would be delicious. However, there are two basic issues with escargot, in my humble opinion. One: how to eat it. Typically, there are six escargot in the shell on a small serving dish. The first step is to pick up the shell with the specialty tongs. The second step is to use the small fork to ease the snail out of its shell. SECOND: the texture. Snails are chewy – really chewy. If you focus on what you are eating rather than the flavor – you could gag. So just enjoy the garlic butter with each bite. The best part of escargot? The dipping sauce once you are finished. The bottom of each shell holds this delectable elixir, which is easily soaked up by a small piece of bread. Now THAT is haute cuisine at its finest. I've never eaten escargot, but snails are a traditional dish of this part of Italy too (I'm from Verona). My mum used to cook them, not very often, but I did taste them sometimes. In this parts, they come without shells. Yum – I love escargot! I started eating them as a small child. I suspect I didn't really know what they are. I just loved their garlic butter taste. I think I'm way too picky of an eater to ever try escargot. I am not sure about escargot, but I love crab and oysters. They are probably similar in texture? Yeah, no! I do love the way the word rolls off my tongue, but would never allow the actual item ever touch it (my tongue.) I salute you for your bravery. When I visited France, I lived mostly on bread, cheese, croissants, coffee, wine, chocolate, and chestnuts from the corner vendors!